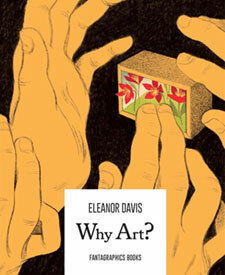 Eleanor Davis, Why Art? (Fantagraphics, 2018). $14.95, pb. Why Art?, like Davis’s glorious 2014 collection How to Be Happy, flirts with another genre in its title—this time not self-help books but popular guides to art appreciation (perhaps simply another kind of self-improvement). Its opening pages speak in a voice of assured matter-of-factness even when saying stupid or terribly reductive things—a sly poke at the fatuousness of such guides, which try so hard to be both authoritative and ingratiating, masterful and friendly. This air of know-it-all geniality echoes the blithe self-assurance of the various gurus and advice-givers in How to Be Happy. 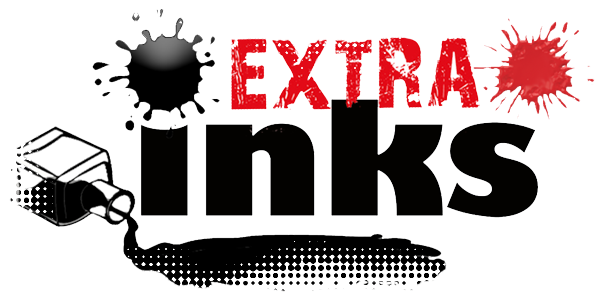 Within a few pages, Davis’s needling satiric outlook becomes clear, and Why Art? carries on as a delicious mockery of Art 101. But, then, about a third of the way through the book’s 200 pages, Davis introduces a group of nine artists (tagged only by first name and preferred medium) and begins to tell us stories about some of them. Further, about halfway through, the nine artists come together to do a “show” of their “newest works,” in spite of a roaring, torrential storm outside the gallery—and a larger, more urgent story, still funny but also alarming, begins to take shape. The book maintains its arch, “meta” character throughout—that is, it remains mischievous, self-deprecating art about Art—but as the storm begins to thrash the gallery, indeed the whole world, the plot begins to push back at the artists’ (and our) complacency, turning into a nervy parable about the value or valuelessness of art in the face of traumatic events and dangerous times. In a show of what could be either near-helplessness or brave defiance, the artists beg of each other, or of their art, “Show us how to save ourselves”—and the ending, brilliant IMO, hits like a sucker punch, trenchant and breathtaking. Highest recommendation—this one floored me. It’s a small softcover brick of a book, not quite square, and beautifully designed, geared for double-page spreads rather than panels, with airy, open pages, and, in the second half, many full bleeds that impress precisely because they can barely fit into the format. The drawing flows like water, lovely beyond words, but also hits like a slingstone—ouch. Is anyone else doing comics quite like this? Recent from Fantagraphics, but one for the ages.